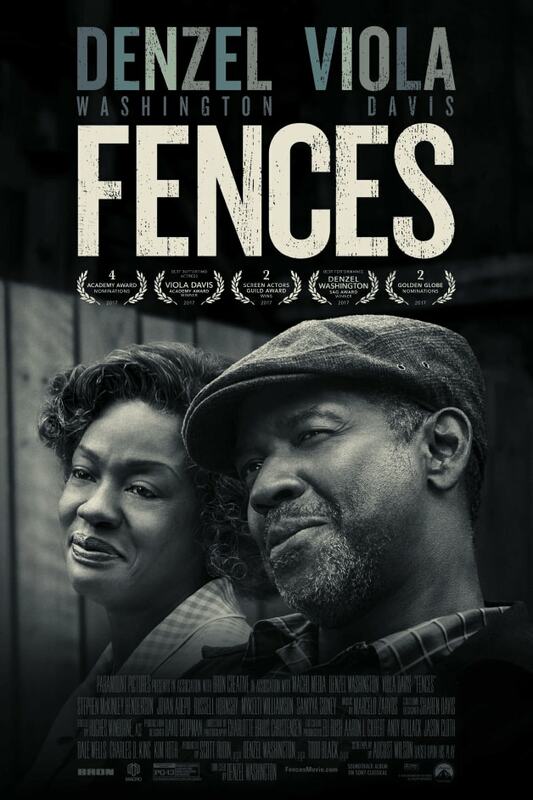 If you want to watch a heartfelt drama with powerhouse performances, then look no further than this 2016 title, Fences directed and starring Denzel Washington. Based on the late playwright August Wilson’s Pulitzer Prize-winning play, Fences while mostly retaining the basic structure and story of the original play lacks the conventional big screen treatment despite being a theatrical release. This is definitely a double-edged sword particularly for viewers who are not accustomed to this sort of interpretation. Washington’s third directorial effort has him playing Troy Maxson, an illiterate waste collector who rises to be a garbage truck driver, a first in 1950s Pittsburgh. No, Troy Maxsondoes not have a specific set of skill nor is he a masked crime-fighting vigilante at night. Maxson is simply an ordinary hardworking African-American striving to be a responsible husband and providing for his wife (Viola Davis) and teenage son, Cory (Jovan Adepo). But as the movie goes, we learnt that Maxson is not all sunny day perfect. He has another son from his previous marriage who always pop by to ask him for a loan. He is strict and demanding with Cory, stopping him from joining the NFL after a bad experience with football in his younger days. He has a quick temper, occasionally turning up intoxicated and constantly finding fault with the Grim Reaper. Later on, he has a third child as a result of an affair with a woman he met in a bar. Without fanciful cinematography and set designs, Fences on the surface looked like a tragic, provocative melodrama that seems to be shot overnight on somebody’s backyard. In actual fact, Fences depicts the lives of real people regardless of their religion or skin colours despite having an all-black cast. Adultery, father-and-son issues and social economics are not restricted to one particular race or color.The movie covers a lot of themes and topics and you have to play close attention to the often rapid-fire exchanges between the on-screen characters. While the well-told, complex drama might not be appreciated by many, there’s never a doubt that Denzel Washington and Viola Davis are absolutely brilliant in their performances. The over two hours drama is a testament to their acting credibility and a worthy reference material for all inspiring acting individuals.